Over 700 booths with over 150,000 square feet of Exhibit space of the latest technology will be showcased at the 53rd Annual TRIUMPH OF AGRICULTURE EXPOSITION Farm & Ranch Machinery Show, Wednesday, February 27th and Thursday, February 28th at the CHI Health Center Omaha formerly the CenturyLink Center Omaha. 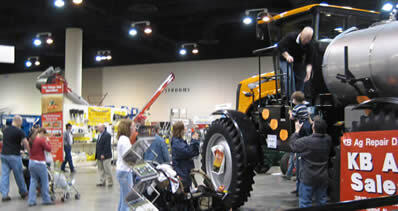 Regarded as one of the Area’s Largest Indoor Short-line Farm Machinery Show, the EXPO has become a tradition for area farmers, ranchers, stockmen, and their families to come to the show and ask questions directly to the leading farm manufacturers and suppliers for ways to improve their farm operation right before spring fieldwork begins all at one time and under one roof. The Seminar schedule is listed below and provides a chance to learn more about some of the new products and services available at the Show. The Farm Show is open Wednesday from 9 AM to 4 PM and Thursday 9 AM to 3 PM. Bob Mancuso, Jr , the Show’s Director, says, “Farming today is more challenging and Midwest farmers are interested in keeping up with the changes and ways to increase their profits and yields per acre while reducing their costs.” The Triumph of Ag Expo offers a one stop opportunity to see and compare hundreds of hands – on demonstrations from the newest farm machinery to the day-to-day supplies and product information that’s available for today’s farming decisions. The TRIUMPH OF AG EXPO is proud that they have been able to keep the Admission to the Show FREE for the past 52 years. Advance Free admission tickets can be obtained from County extension agents, farm machinery and equipment dealers, or at the CHI Health Center Omaha’s door. There are over 4,500 parking spaces on site right at the convention center entrance. At no other time this spring will area farmers be able to see all these agricultural suppliers indoors at one time and under one roof than on these two days at the Triumph of Ag Expo. Brent Pohlman, from Midwest Laboratories, said “Many first-time visitors cannot believe the wide selection of products on display and the tremendous opportunity for savings at the Show”. The Triumph of Ag Expo has something for every kind of farm operation, including tillage equipment, planters, monitor and control systems, soil testing equipment, mowers, cattle chutes, augers, fertilizers, various seed hybrids, feeders, tanks and pumps, hay moving and handling equipment, plows, combines, computers and software, tractors and many more agricultural products and services for today’s farmers and ranchers. Bob Mancuso, Jr., said, “This year there are many show features. There will be antique tractors and equipment from the Camp Creek Threshers and the Elkhorn Valley Antique Power Association at the Show. THE TRIUMPH OF AGRICULTURE EXPOSITION Farm & Ranch Machinery Show is produced by Mid-America Expositions, Inc., sponsored by the Mid-America Farm & Ranch Machinery Council and is a member of the North American Farm Show Council consisting of the top 25 shows in the nation. The Triumph of Agriculture Exposition established the Annual “Agri-Award” as part of Nebraska’s Centennial Celebration, in 1976 to recognize outstanding organizations and individuals that have contributed to the Agricultural Development in the Midwestern area. 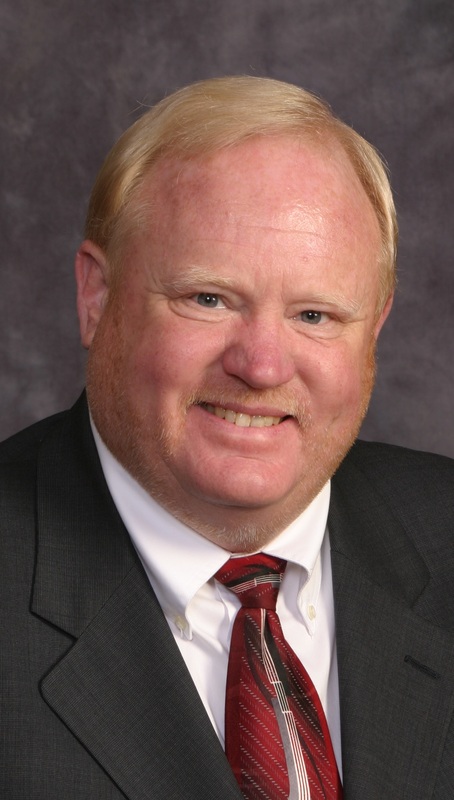 This year’s winner is Steve Nelson – President from Nebraska Farm Bureau. ’03 – Mike Johanns –Former Nebraska Governor and U.S. Secretary of Agriculture. ’92 – Robert L. Peterson – Former Chairman, President and CEO, IBP, Inc.
’90 – Charles M. Harper – Former Chairman of the Board & CEO – Con Agra, Inc.
’89 – Dr. Ronald W. Roskens – Former President University of Nebraska –Lincoln & CEO, President & Director of Agency for International Development – Action International, Inc. THE TRIUMPH OF AGRICULTURE EXPOSITION Farm & Ranch Machinery Show is produced by Mid-America Expositions, Inc., sponsored by the Mid-America Farm & Ranch Machinery Council and is a member of the National Farm Show Council.